This super quiet shower pump for positive head situations, is renowned within the industry for its quiet operation. 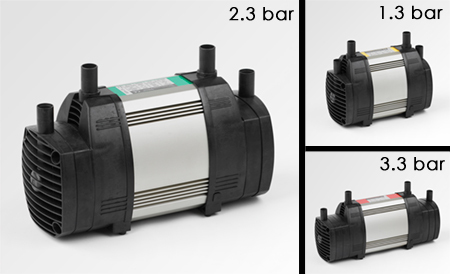 With the pump body manufactured in extruded aluminium and with its advanced impeller design this twin impeller shower pump is not only powerful but gives great flow characteristics with low energy consumption. * 1.3, 2.3 & 3.3 bar power choices.